Spearfish, SD based electronic alternative rock act BLACKLITE DISTRICT has released the official music video for "Hard Pill to Swallow," the lead single off of their upcoming 4th album, Through the Ages. Originally premiered on Billboard, "Hard Pill to Swallow" was filmed outside the Anaheim Regional Transportation Intermodal Center in Anaheim, CA by DZFX Media. 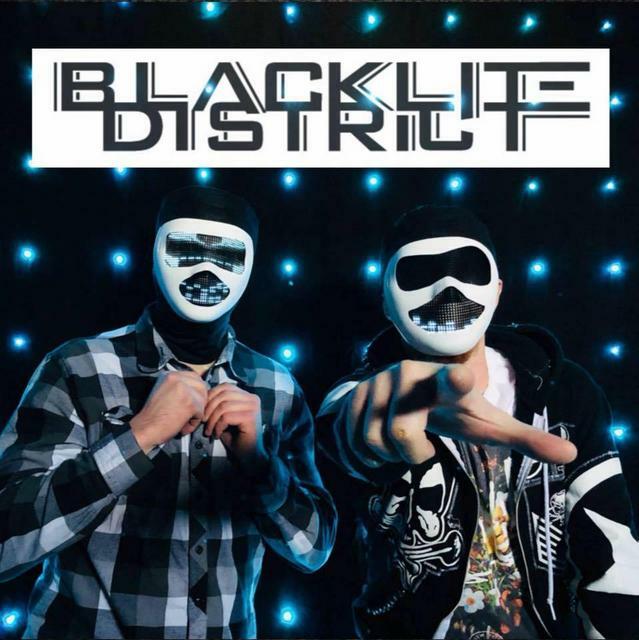 BLACKLITE DISTRICT has experienced a meteoric rise over the past several months, with their YouTube following edging near 100,000 in less than a year and their wildly popular Minecraft videos–“Cold As Ice” and “The Struggle”–garnering around 70 million views cumulatively. Says Kyle, "I work with multiple major YouTube channels that promote my music to a huge worldwide audience. It’s been amazing as an independent artist of this generation to reach an audience of this size." As a result of their rapidly expanding youth audience, the duo has seen incredible online sales and Spotify streams and playlistings, as well as significant Mainstream Rock Songs Billboard charting.